After an uncharacteristically long break between releasing records because of a pressing delay, Goodbye Boozy Records in Italy is back with a new set of wax, this time featuring the third 7″ from Brisbane-based Australian punks SULPHUR LIGHTS. The nasty little single comes along with 4 other 7″ records and one LP, marking a pretty large installment of releases from a label that’s always hard at work and a label you can always count on for the filthiest fuzz. Life Stinks from the Sulphur Lights is no exception, housing two shoddy tracks of gritty guitar pop-punk that will get your blood pumping and will simultaneously leave a burn mark on your turntable. That said it’s no surprise this band has garnered the reputation of being complete hooligans – just go read their posts on Facebook or take hints from tracks titles “I Drink Piss” or “Kill Everyone.” “Life Stinks” comes complete with blown out guitar hookage and a rumbling bass line to support, arranged in anthemic fashion as the band chants in unison “life! stinks!” to create an overall riotous affair. B-side “I Drink Piss” overflows with heaps of crunchy guitar skuzz, sounding even dirtier than the previous as if guitars were rattling out from the inside of an old trashcan. They wrap up the 7″ in just over 3 minutes, confirming that you’re going to have to spin this thing a few times before you’re totally satisfied. Hear both sides of the 7″ below – we’re streaming B-side “I Drink Piss,” which you really can’t hear anywhere else unless, of course, you bought the record. Get on it! 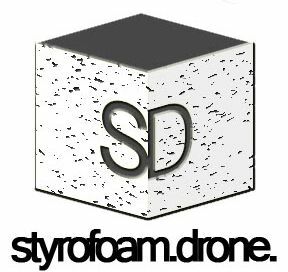 Posted on May 12, 2015 May 12, 2015 by styrofoamdronePosted in ReviewsTagged Brisbane, garage rock, Goodbye Boozy Records, pop, punk, Sulphur Lights.